If you’re like many of our patients here at MIA Acupuncture, you’re seeking an alternative and/or a complement to conventional Western medicine. You want to stop ignoring your problems or stop merely getting temporary relief from pharmaceuticals. You want to get to the root cause of your health issues– not just put a temporary bandage on them. Your goal is to feel whole again and stop letting the days go by feeling unhealthy. MIA Acupuncture serves the greater North Miami region and strives to provide quality service at an affordable price. We choose to to deliver effective acupuncture treatments with affordability and traditional methods of Chinese practitioners. For acupuncture to be most effective, patients need to receive it frequently and regularly — far more frequently and regularly than most people can afford. As acupuncture has moved toward the mainstream, it has been forced into a paradigm of one-on-one treatments and high prices, which has decreased not only patient access, but also treatment efficacy. 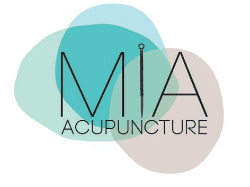 MIA’s group clinic based in Hallandale Beach, Florida offers acupuncture in a group setting for $40 a treatment (plus a one-time, initial consultation and treatment fee of $125) and $55 for follow ups. “It is my way of embodying my ideals and giving back to the community as well as doing all I can do to improve the quality of healthcare in America”, states Danielle, founder of MIA Acupuncture."